Until now, UV exposure was classed as the primary cause of skin damage; however with recent research, UV is demonstrated as not the only culprit. Our skin is in actually exposed to a number of different environmental aggressors on a daily basis. This new research, presented at the European Academy of Dermatology and Venereology (EADV), confirms that up to 80 percent of skin ageing and damage can be caused by five key environmental aggressors, these are: sun, pollution, cold, heat and wind, and when these aggressors are combined the damage to the skin increases. Pollution, for example, doubles the skin damage induced by UV alone. With this collective damage everyday skin ageing could accelerate even further. 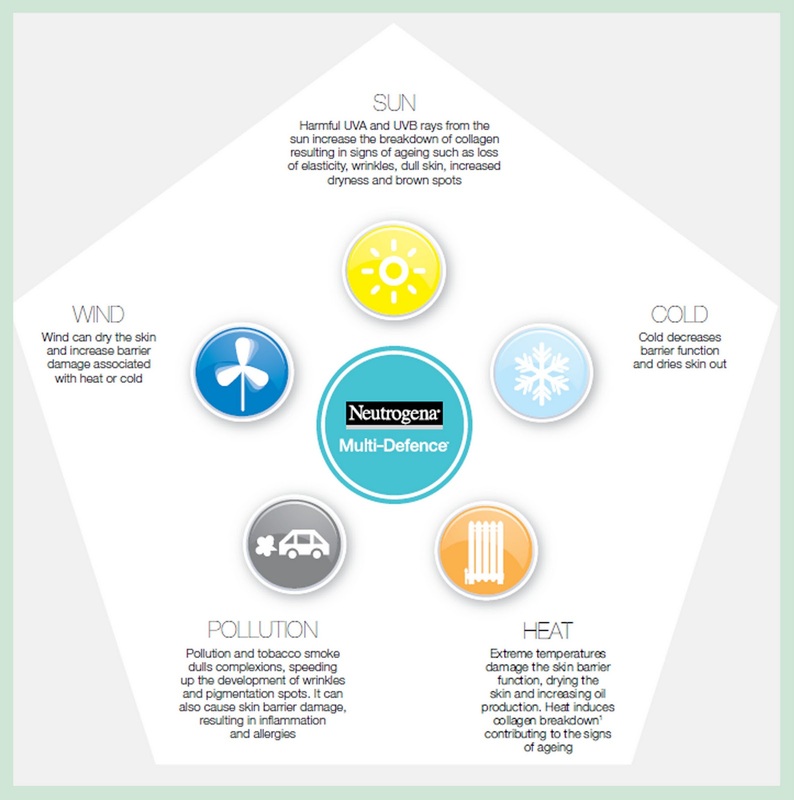 However Neutrogena Multi-Defence is the first daily moisturising range from the Neutrogena brand that protects the skin against all of the damaging effects of the environment. All products are economically priced for the quality of which they possess. The range includes three daily moisturisers which go beyond hydration in order to address the needs of different skin types, namely: Dry and Sensitive Skin, All Skin Types and Normal to combination. Priced at £7.49 this daily moisturiser has been proven to help strengthen the skin’s natural defences and keep skin nourished and hydrated. I travel extensively with my job and flying is known to de-hydrate the skin, however with Multi-Defence in my hand luggage my skin feels soft and cleansed to perfection. The silky smooth texture is also a bonus. Other products within the range are a Night Moisturiser, also £7.49, a Gentle Purifying Scrub, £3.79, and finally the most practical Gentle Purifying Wipes, £3.49. I like nothing more when buying a product that not only can I see the results, but also I can feel them! Fundamentally, what it claims to do on the packaging is completely what it does: each day you are guaranteed to wake up to fresh radiant looking skin! 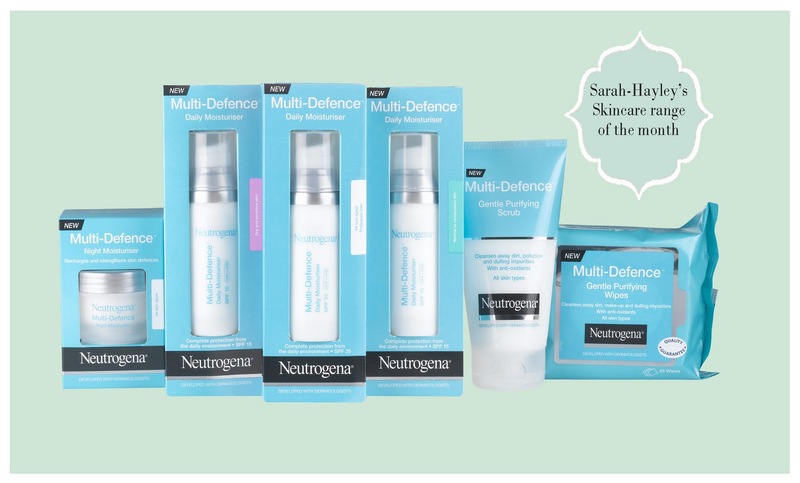 This is why Neutrogena Multi-Defence is my skincare range of the month. You can buy Neutrogena products from Boots and Superdrug.